Dehler’s goal with the 46 was to build the best performance cruiser in its class for years to come… and they’ve delivered a diamond. The head-turning lines are a result of precise hydrodynamic research done by Judel/Vrolijk & Co, comprehensive input from the interior design team and carefully analysed human behaviour and motion studies. 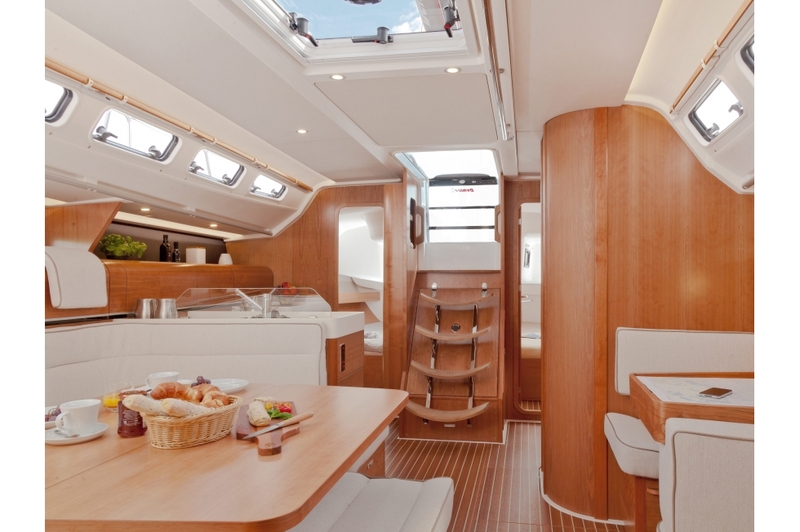 The Dehler 46 is whatever you make it. Its speed performance can be increased as you like. And therefore, it will always fit your personal sailing style. 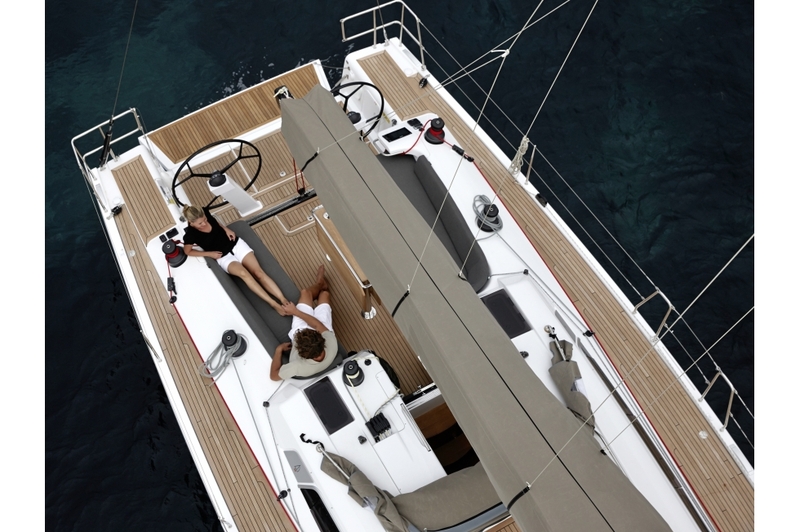 As a performance cruiser it offers a whole range of possibilities, whether you prefer a competitive race yacht, a comfortable daysailer or a luxury cruising yacht. Your preference may be highlighted by a variety of options. For an elegant comfort cruiser with all amenities you select a beautiful teak deck and a large bathing platform for swimming fun. 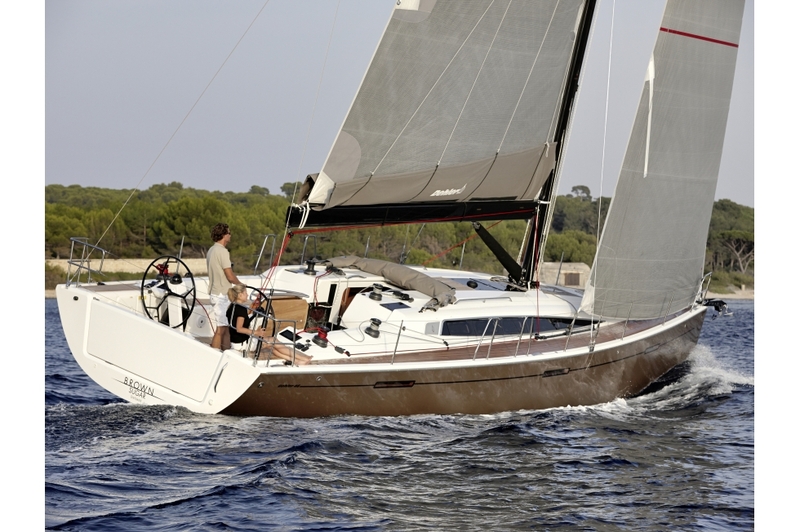 If you prefer it sporty, opt for the Competition Package and transform your Dehler 46 into a truly fast yacht. 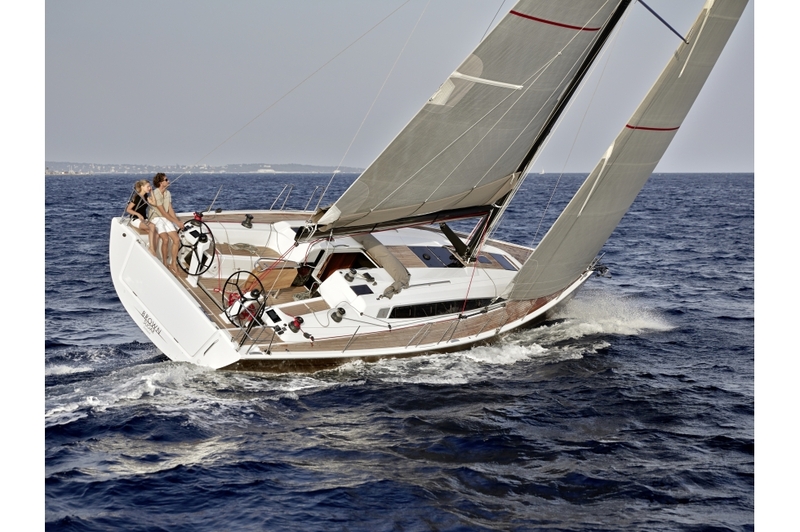 Whatever you choose, the Dehler 46 is an eye- catcher in each port and convinces with the elegant, sporty design of judel/vrolijk & co, which we implement in perfect quality manner. The innovative vacuum infusion technology ensures that the 13.95 meter long hull made of water-resistant vinylester resin is 20 percent more rigid than conventional designs. 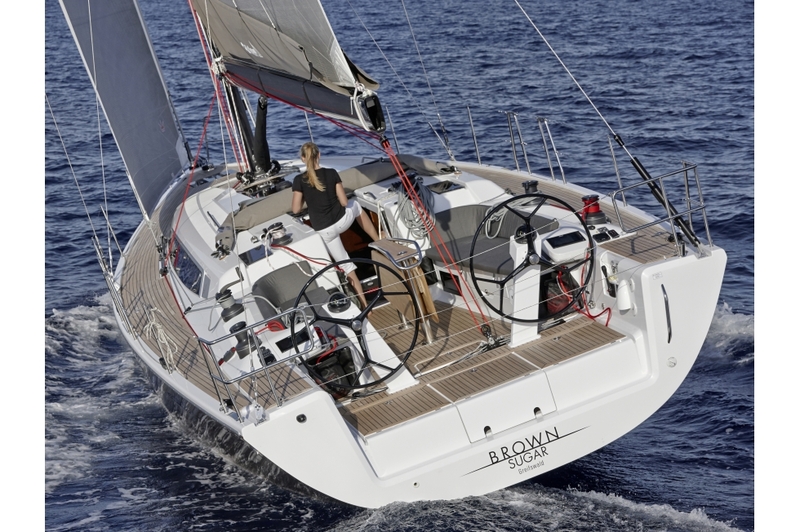 The steep stem extends the waterline and results in increased hull speed. 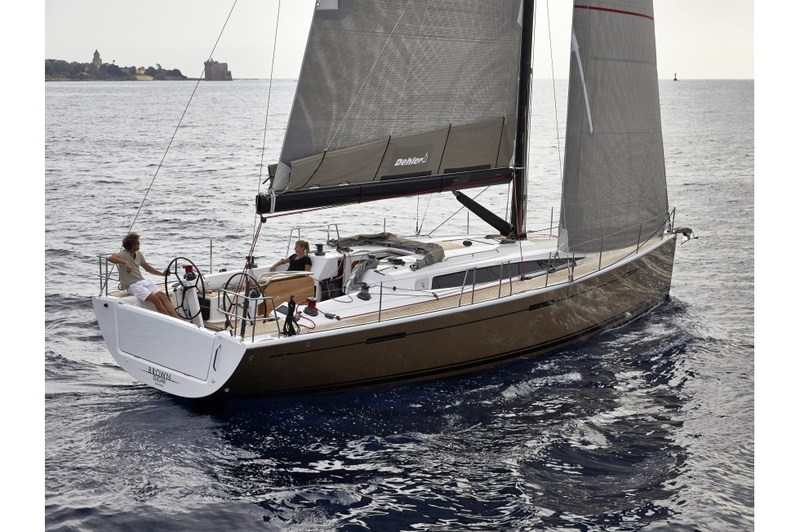 As standard the Dehler 46 comes with a 2.25-meter-deep keel, while the competition version carries with a keel depth of 2.50 meters. 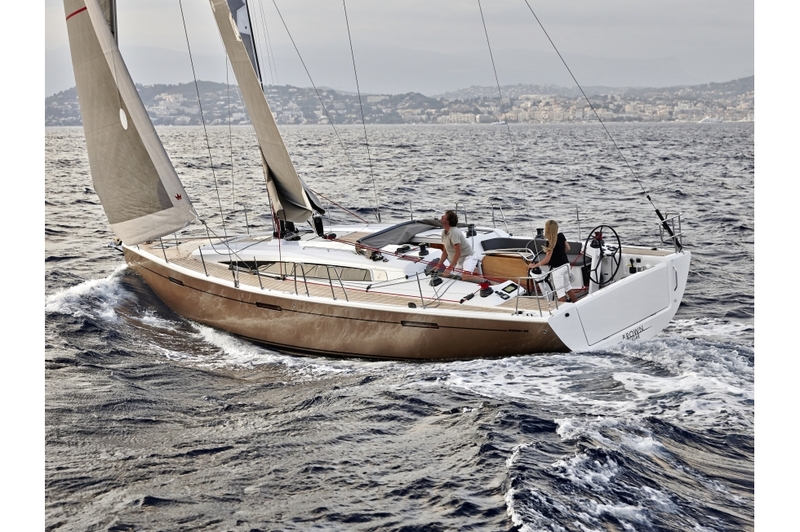 Optional for sailing in areas with shallow waters is a keel with 1.85 meter draught. We also provide a 2.45m deep going West Coast L-Keel. 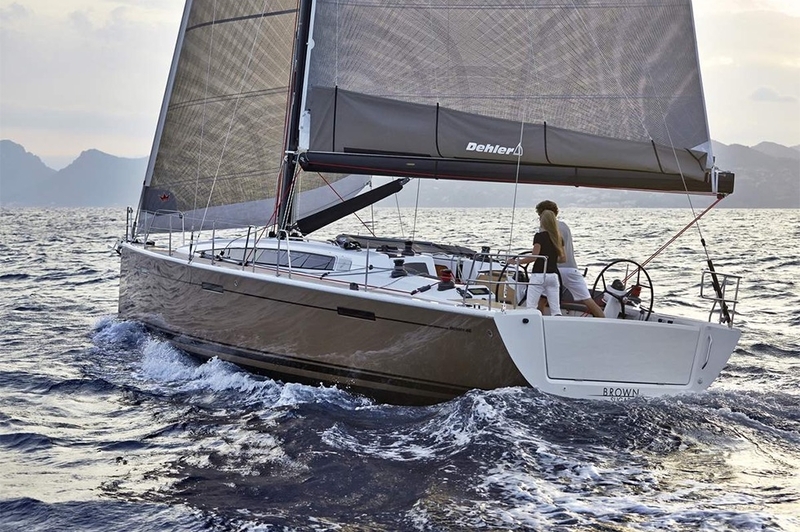 The Dehler 46 is equipped with high-quality Elvstrøm sails. 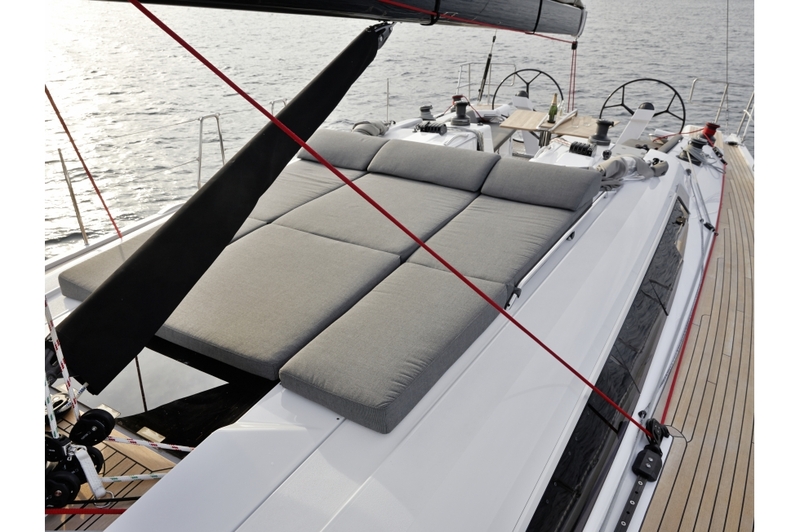 You can choose between Fast Cruising Laminate sails or HPM sails made from vectran/polyester against delamination. These are lighter and more stable with a longer life span, allowing the boat to sail faster, higher and more upright without losing speed in the waves. The Pauger High Tech Carbon Rig - With an increased length by one meter and its carbon spreaders, the carbon mast and its increased sail area enhances the sailing characteristics close to the wind and in rough sea due to lower topweight. They are far more weather resistant than aluminium masts. Carbon will bring you comfort, security and performance! Storage locker with recess for stable foot rest. Teak covered bathing platform with integrated swimming ladder. 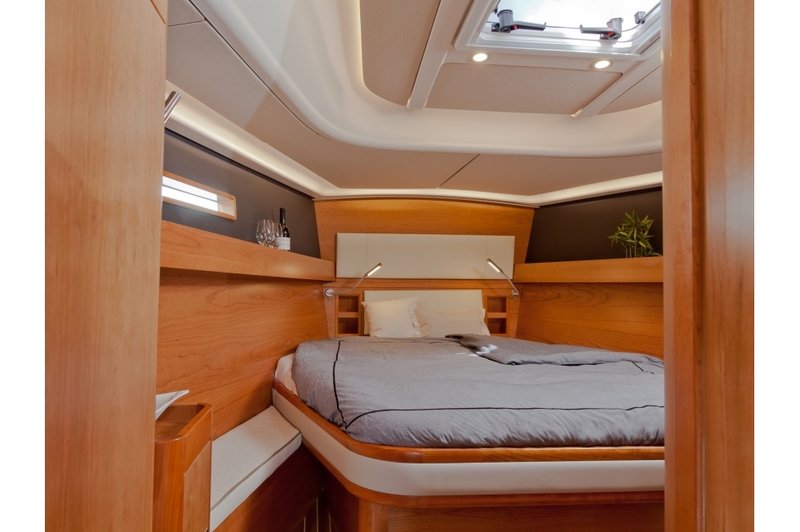 The new Dehler design is recognized by the dynamic line of the cabin windows, which can all be opened individually. These are additionally emphasised due to the aluminium frame. 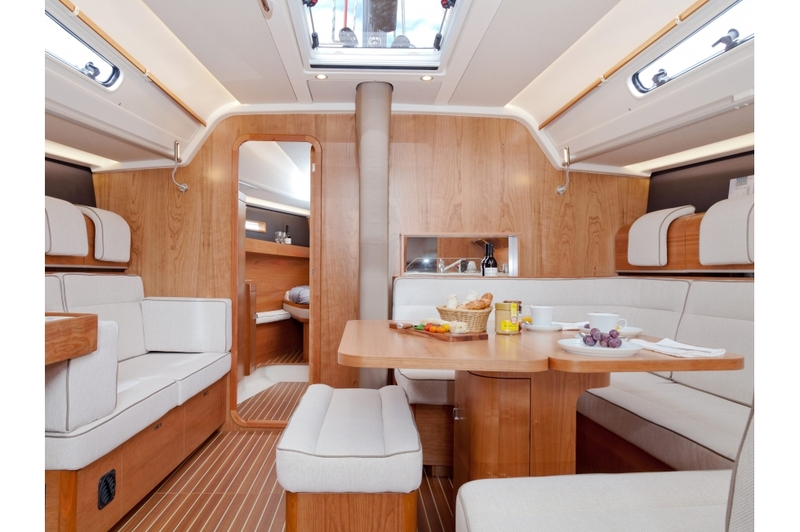 Hidden halyards allows the deck design to be clean-cut. Full control at helmsman position thanks to the elegant instrument consoles. Space for the whole crew in the protected cockpit. Removable table and wide passageway. Recessed into the floor, the mainsheet traveller allows an ideal trim of the mainsail. The central area of the interior provides many remarkable ways of using space efficiently. For example, the salon cabinets with their unusual radius open upwards in a practical fashion. Full control at the generous navigation area. Lots of clever stowage throughout the boat. Foldable salon table with integrated bar compartment. 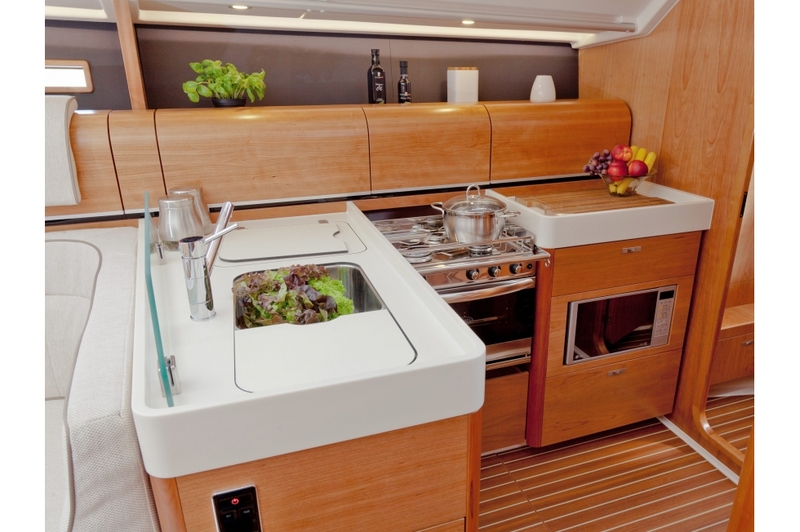 Spacious galley with integrated 130l fridge accessible from above and below. The cooker cover can be used for lots of different things: as a surface to rest things on or as a cutting board. Beautiful designed head with separate shower and Dehler Uni Door System. Dehler Uni Door System. When the toilet and shower room is closed, the door makes the way free through from the wash area to the living area. The flooring runs through continuously. A uniform design blends both rooms harmoniously together. Generous washbasin with large mirror and lots of storage space for your daily utensils. 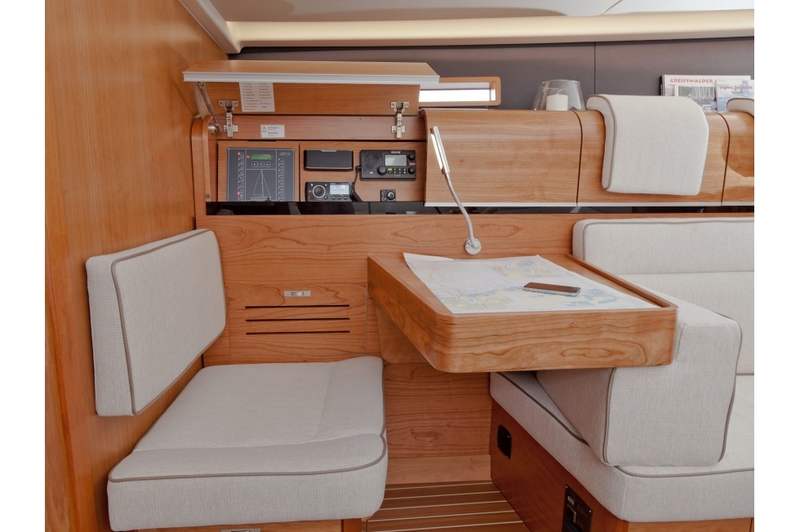 The standard Dehler 46 has an owner’s cabin with head, a spacious aft cabin starboard and a large accessible stowage on portside including a bunk berth which can be used for board equipment or as a sail locker. 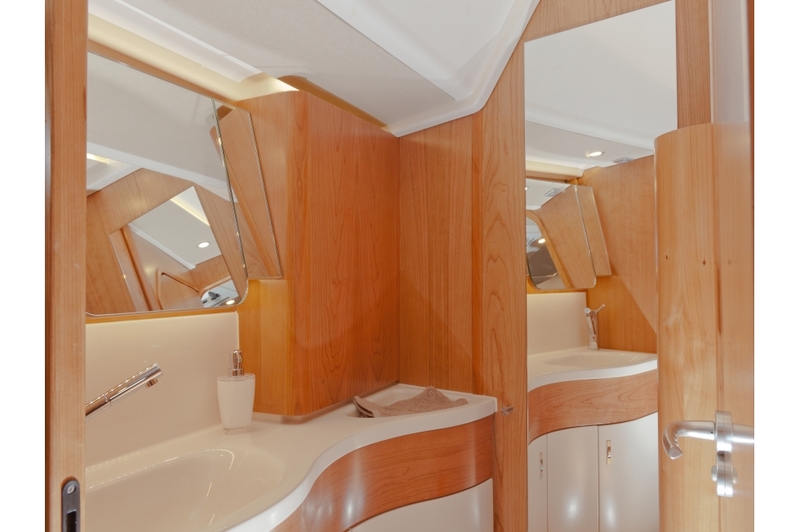 However, you can also choose to have a second aft cabin at this place.